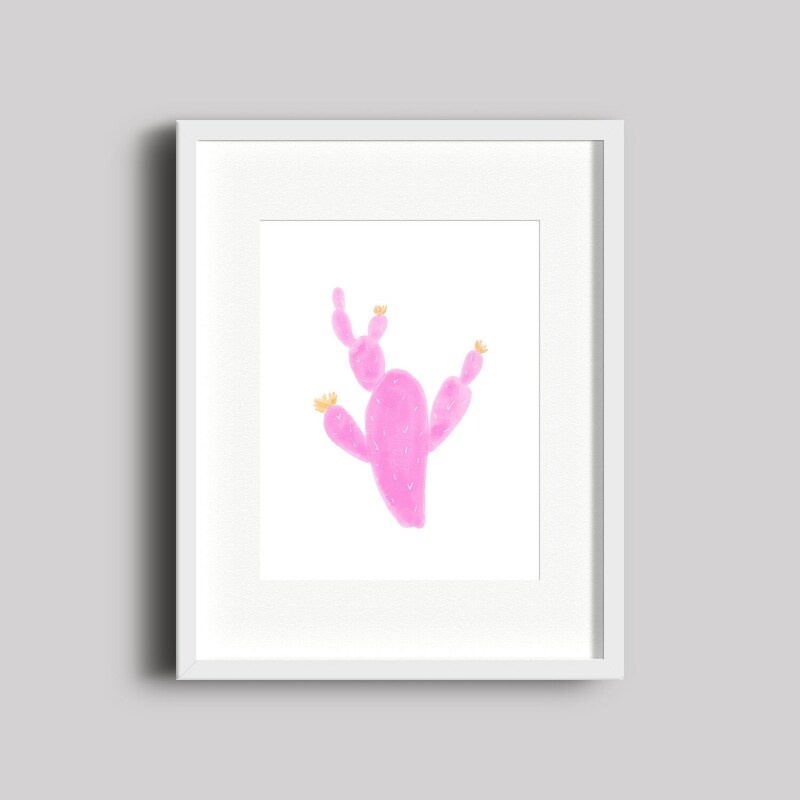 This neon pink cactus watercolor print is perfect for a gallery wall or as a fun boho addition to any room in your house. I created this pink cactus print as a bright and fun alternative to my original cactus print which continues to be a best seller. This cactus print is printed on 100% cotton, acid-free, archival 230 gsm paper by a professional printer and will arrive at your doorstep ready to be framed. Please allow 3-5 business days for printing. Message me if you have any questions or if you're interested in a custom size or color combo. Frame is for visualization purposes only and is not included.